Betties N Brimstone: Shoes! 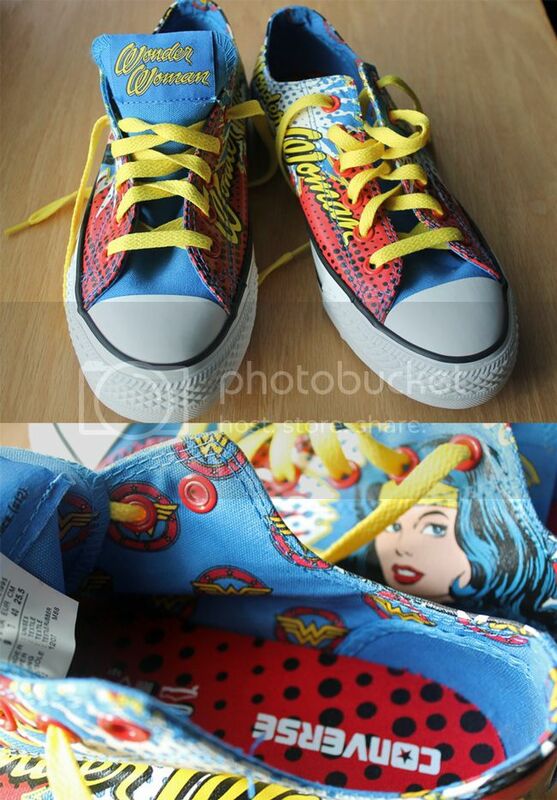 Wonder Woman Converse! 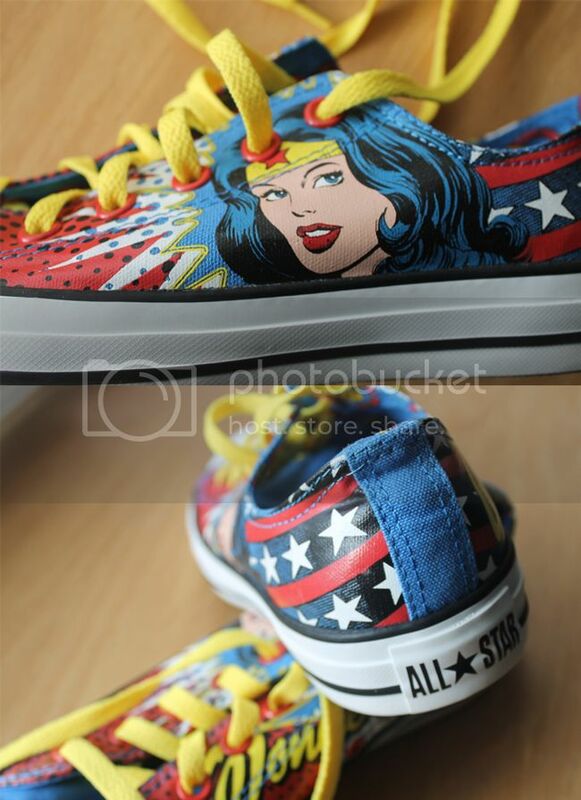 Last post, I mentioned the DC Comics x Converse Wonder Woman All-Stars I wanted to buy from Journeys. Well, I couldn't resist and ordered them last week - and they're here! I wore them for the first time today. Every time I looked down at my feet, it made me smile. I got lots of compliments on them at work. I'm mostly impressed by the high quality of the design, and how no detail was overlooked - even the insides are amazing! 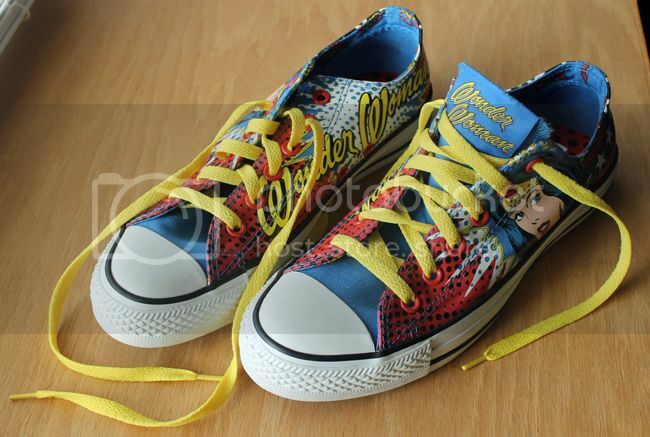 I had my choice of traditional All-Star white laces, or the yellow ones that were also included. I went for the yellow. Oh yeah. I love these shoes so much.